Spa and Beauty Salons mean a few hours of pure relaxation and comfort. It's the time of laying back and getting pampered from head to toe. Miele supports this experience by delivering the most soft, clean towels and robes you can wish for. Miele offers a unique solution for a variety of applications, such as Spas & Beauty Salons. With a one-of-a-kind space efficient design and superior cleaning capabilities, these systems deliver outstanding cleaning results. Large quantities of towels, soiled with oil and lotion are no challenge for Miele's professional series Little Giant. In the health and leisure industry, your main priority is taking care of your customers. Provide a better service by using the SPEED Plus freshwater dishwater: the fastest commercial dishwasher using the freshwater circulation system. Cycles are as short as 5 minutes, without compromising the cleanliness of the load. Miele Professional washing machines are renowned for saving energy and money - but there's nothing like reclaiming the full cost of your business' new washing machine. That's exactly what Miele Professional offers, thanks to inclusion on the UK's Water Technology List (WTL). Miele Professional washing machines are renowned for saving energy and money - but there's nothing like reclaiming the full cost of your business' new washing machine. That's exactly what Miele Professional offers, thanks to inclusion on the UK's Water Technology List (WTL). The Water Technology List, managed by AEA on behalf of Defra and HM Revenue and Customs, will help businesses save money in the short and long-term, by encouraging them to invest in technologies and products that reduce water use, and improve water quality. The Miele Professional range of washing machines have been accepted onto the Water Technology List, having successfully met the criteria to enable Enhanced Capital Allowance (ECA) claims. The ECA scheme allows UK businesses to write off the whole cost of the equipment against taxable profits of the year of purchase. All businesses can claim ECAs, regardless of size, industrial or commercial sector, or location. Kate Davis, AEA water specialist, said, “Miele Professional is one of the product and technology manufacturers leading the industry forward. One of the objectives of offering the ECA is to encourage innovation and to encourage companies such as Miele Professional to come up with new technologies to improve water use. The stacked Octoplus machines has features that Miele customers know and love. Like fast cycles, with outstanding performance. Like flexible programmes, with ease of use. 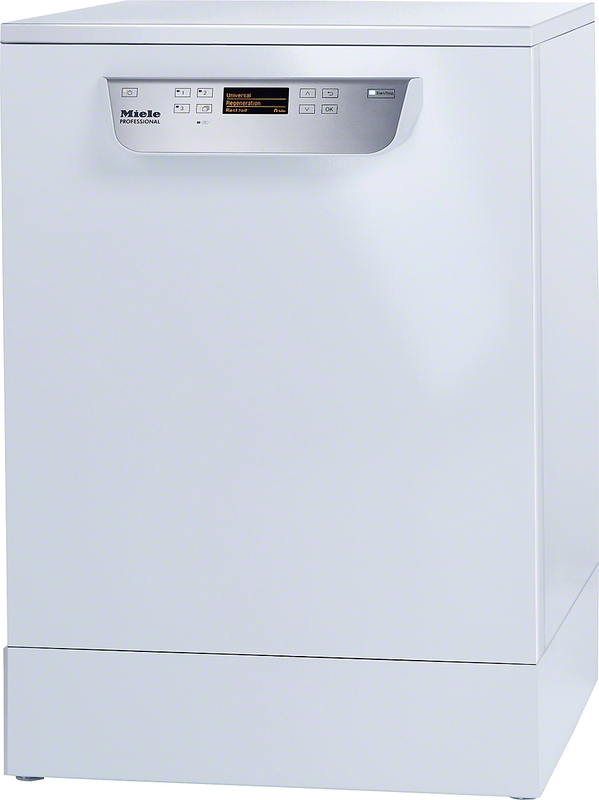 The PWT 6089 Vario washer-dryer stacks an 8kg washer-extractor, and an 8kg dryer with 180 litre drum. The PTT 7189 Vario dryer-dryer stack swops the washer for a second tumble dryer. Washer-extractors and dryers alike feature Miele's patented Honeycomb Care™ washing drum - shown by independent testing to be kind to fabric. Options include payment systems for launderettes, and a choice of stainless steel or Octoblue finishes.